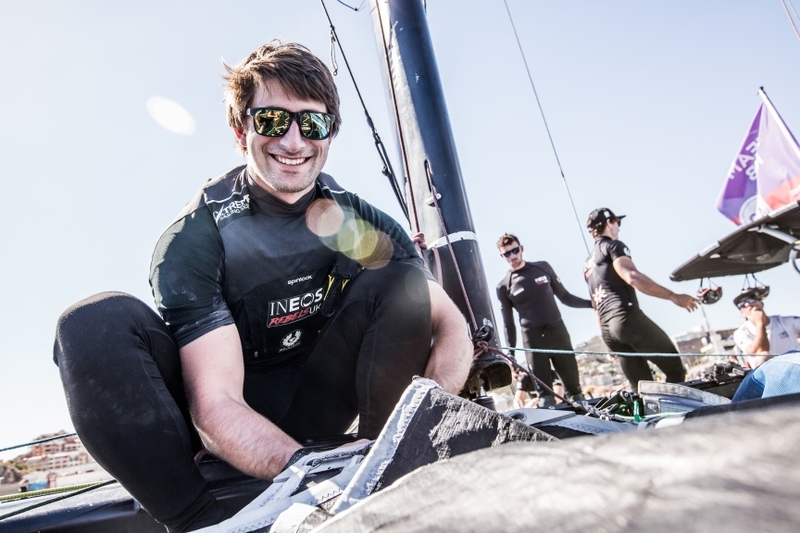 Oli has recently been promoted to a full-time sailing intern, embedded within the senior team. Favourite ever sailing race? Cascais Extreme Sailing Series 2018, we had some awesome race days with 20+ knots and super flat water. Finishing on the podium was a great feeling too. Best advice? Set yourself regular goals and make sure you enjoy what you are doing! Oli Greber is one of the young guns at the forefront of British sailing. 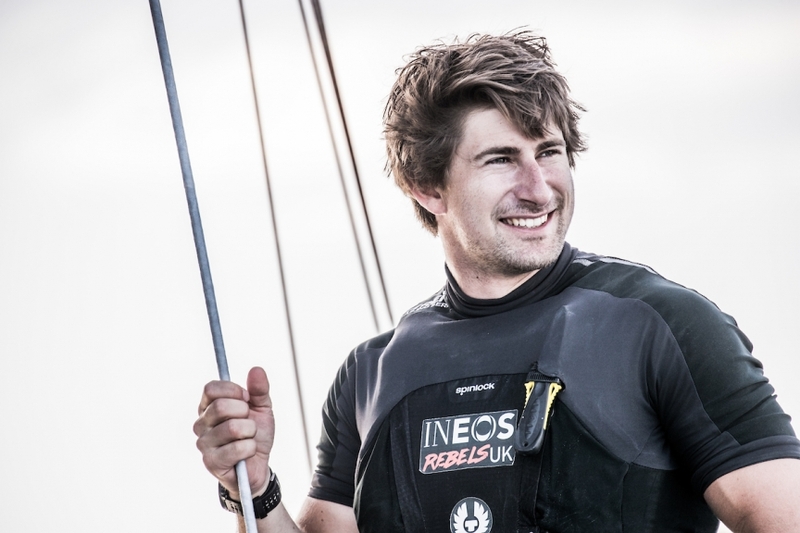 Through his hard work, dedication and commitment he earnt a place in the British America’s Cup team’s youth programme, INEOS Rebels UK, and has recently been promoted to a full-time sailing intern, embedded within the senior team. Oli started sailing around six years old at Pevensey Bay Sailing Club, although he first stepped foot in a boat in a small pond near his home town in Eastbourne. His first boat was a small blue Topper dinghy and he soon released he had a real passion for racing. His talent was spotted and he quickly progressed through the RYA Junior and Youth Programme, first the Zone Squad followed by the National Youth Team, regularly competing at nationwide events. “When you’re a child you don’t really think about the future or what you are going to do but as I got older I started to realise I was really passionate about sailing and wanted to do it as my career. Moving on from Toppers, aged 14, like every young sailor he was forced to plot his next course. The options were either the single-handed Laser dinghy or the double handed high performance 29er skiff. “I basically decided that as I wanted something fast and exciting, I would move in the direction of skiffs or catamarans, so I sailed different classes of multihulls and I went on to have quite a lot of success on two hulls; I won two Youth National Championships and won a bronze medal at the 2013 ISAF Youth Worlds." 2013 was also the year the 34th America’s Cup was held in San Francisco Bay in much bigger (72-foot) fast, foiling catamarans. It was a time of change for sport, which also had a big influence on many young British sailors, including Oli. “The AC34 was just incredible to watch on TV - seeing these giant 72-foot foiling boats blasting around the Bay. I was 16 at the time and that was probably my first exposure to the Cup. After my A-Levels, I joined Portsmouth University knowing that the British team had a base in the City and that was my first experience of what a Cup team looked like – the scale of the building alone blew me away. Oli graduated from Portsmouth with a 2:1 in the summer of 2018 and for the first time was able to commit to sailing and fitness 100%. 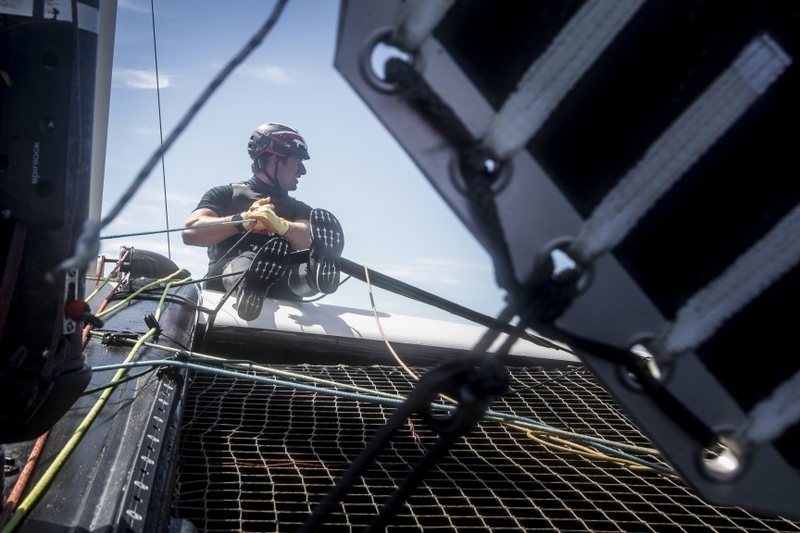 He continued to race with the INEOS Rebels on the ESS and at the end of 2018 was one of only two sailors chosen to become full-time sailing interns, becoming embedded within the senior Cup team. “It’s already been a big physical transformation for me. In my youth classes I had to be fairly light and do a lot of cardio work so I had a limited strength and weight training background, I never lived the ‘training’ lifestyle as such. Coming into the Rebels I was only 76 kilos, so over the past three years I’ve needed to put on some weight and get a lot stronger. 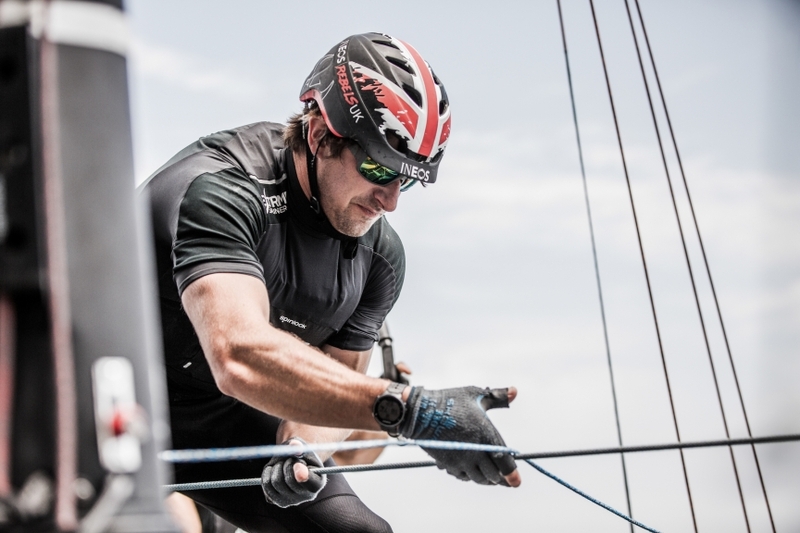 “We have fantastic support here with the team, I now have a structured training programme – I will need to be able to produce a lot of power on the boat, I’ve already put on around 15 kilos and there’s been a lot of hours of training in the gym to get where I am now! 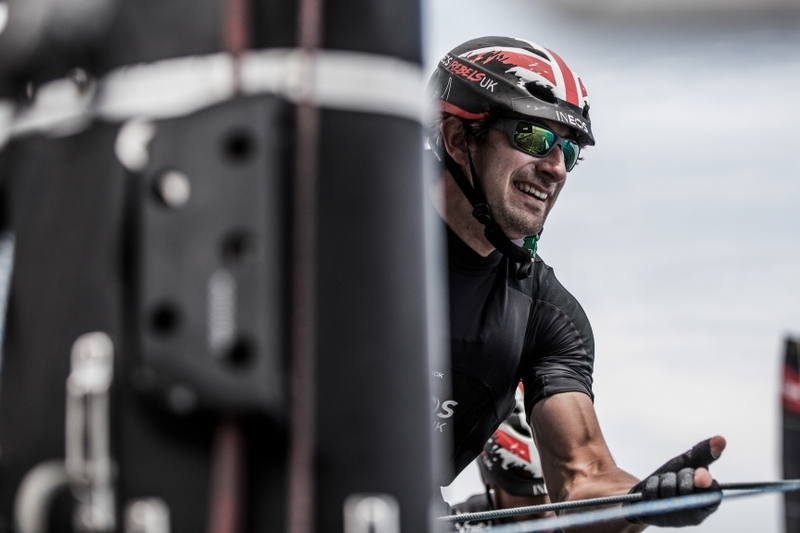 The youth team was set up as a pathway into the senior America’s Cup team and that was something that was always at the back of my mind – to be at the forefront and try and be the fittest of them all. 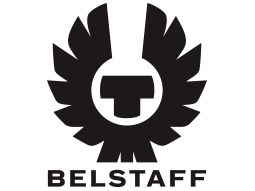 “Fitness tests are a big part of what we do, it gives you a marker of where your training is at and how well it has been going. They are gruelling, you don’t get used to it, but you get used to pushing yourself hard and finding new limits.